By Rodgers & Hammerstein. Arranged by Cindy Blevins. Sheet Music Single. 7 pages. Published by Cindy Blevins (H0.251399-218625). This song is beautifully arranged for piano and Bb clarinet. 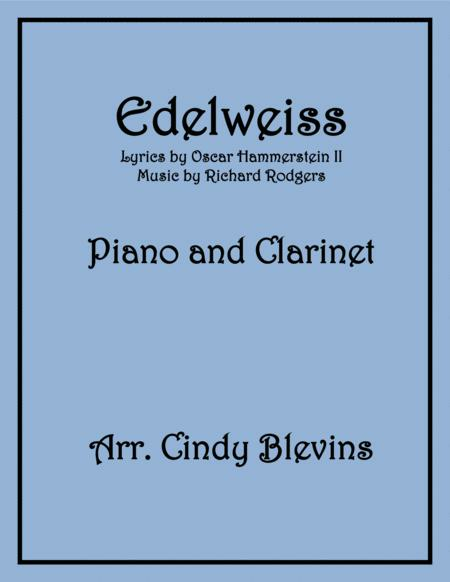 With this download, you receive the score (so you can see how the parts go together), the piano part and the clarinet part. 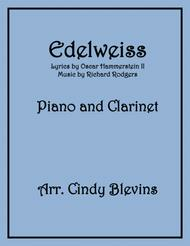 The clarinet adds a delightful voice, adding melody, harmony, and counter-melody to the piano part. The sound sample was digitally produced and gives you an idea of what the arrangement is like. It will sound even better played by actual instruments. For harp music (originals and arrangements), harp learning materials, harp with other instruments (clarinet, Native American flute, mandolin, flute), Native American flute learning materials, piano music (originals and arrangements) and much more, visit my website.